Avail this Happy 4th of July American Independence Free Embroidery Designs Bundle Offer as it is available to you for free, so follow the link below and you can download these all designs in one click or just download individually and ‪embroider this digitized designs right away on any of your garment to show your love to America. 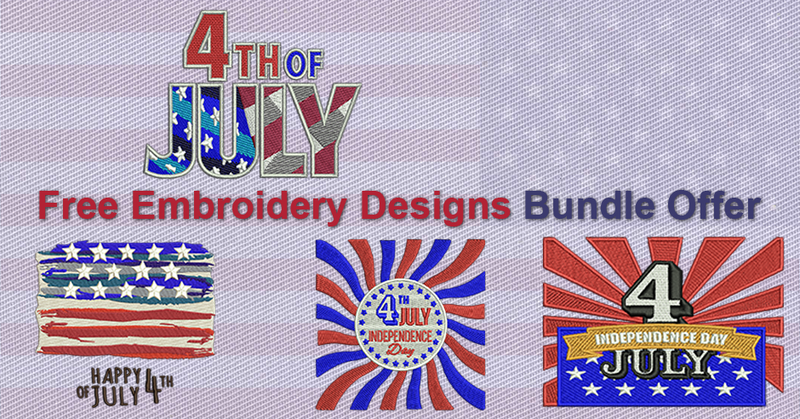 All you have to do is share this post with any of the social medias plugged in below and once the process is complete, the option to download this Happy 4th of July American Independence Free Embroidery Designs Bundle will become available to you. All you have to do is share this post with any of the social medias plugged in below and once the process is complete, the option to download this American Independence Free Embroidery Design will become available to you. All you have to do is share this post with any of the social medias plugged in below and once the process is complete, the option to download this Happy 4th of July Free Embroidery Design will become available to you. DigitEMB wishing a happy independence day in advance to Americans. As always, this most American of holidays will be marked with red, white and blue flags, fireworks, and parades, across the country. Grab this Happy 4th of July Free Embroidery Design as it is available to you for free, so follow the link below and download and ‪embroider this digitized design right away on any of your garment to show your love to America. All you have to do is share this post with any of the social medias plugged in below and once the process is complete, the option to download this USA Independence Day Free Embroidery Design will become available to you. All you have to do is share this post with any of the social mediums plugged in below and once the process is complete, the option to download this USA Independence Day Free Embroidery Design will become available to you. All you have to do is share this post with any of the social medias plugged in below and once the process is complete, the option to download this Happy Fourth of July Free Embroidery Design will become available to you. DigitEMB knows the importance of 4th of the July in United States as we will celebrate that monumental moment in U.S. history with barbecues, fireworks, and a good day trip to the beach on independence day. 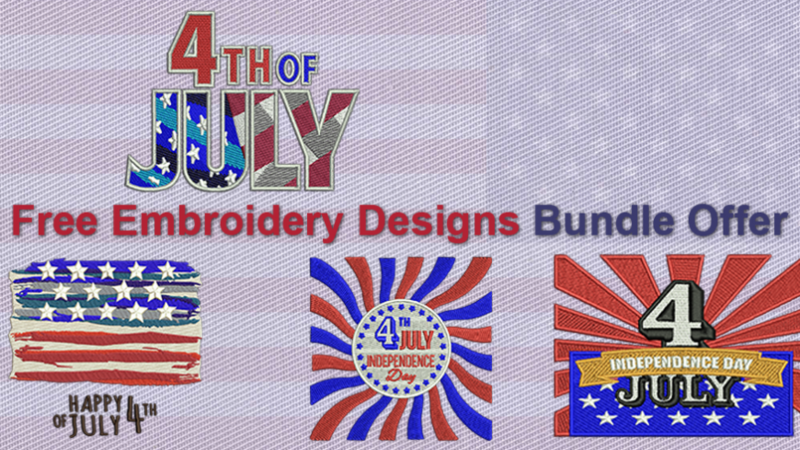 It’s easy to forget why we celebrate Independence Day, so here is patriotic, inspirational Happy Fourth of July Free Embroidery Design that will make you proud to be an American. Hello! Jill Wright! We sent you an email with complete details. Kindly check and reply back to us if you would like to know more about them. Thanks!